Obama's One Conceivable Foreign Policy Victory: It's Honduras. But He Won't Acknowledge It. Too Bad. When Manuel Zelaya was deposed as president of Honduras with the support of the Supreme Court, the National Congress, the attorney general and most of his own party, much of Latin America went into conniptions about safeguarding the constitution. Of course, that was precisely the issue. Zelaya was about to traduce the constitution, which forbade extension of the chief executive's term, precisely his intention. This is common in the lower part of the Western Hemisphere, and it is the opus operandi of Hugo Chavez in Venezuela. 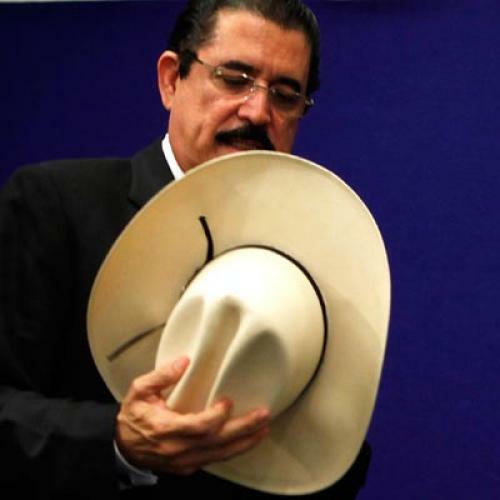 Zelaya's chosen instrument was a referendum, the tool of tyrants. Interim President Roberto Micheletti, formerly president of the National Congress--and from Zelaya’s party, by the way--put a stop to that. So the revolutionary left, some of it still intoxicated by the Cuban dictator who stayed for half a century (and was succeeded by his brother), dragged out its shabby slogans and symbols, courting symbolic support from the Organization of American States. When it came to the new presidential elections, which the old guard tried to stop, the United Nations (so sensitive to democratic norms) refused even to watch. Ditto: the Carter Center. That's the loony bin ensconced at Emory University. From the start, the Obama administration condemned the coup. The president spoke, Mrs. Clinton spoke especially shrilly. The government's Latin American professionals supported Zelaya, whose backing seemed increasingly thin. And then quietly the Obamae began its retreat. First it said that it wanted Zelaya to return. But, then, as Elisabeth Malkin reported in the Times, no one in Foggy Bottom was talking about the deposed would-be dictator. And, yes, the U.S. would recognize the election of Lobo. This shift seems to me to be real. Will Obama and company have the courage to stick with it?